UPI payments system was Introduced by Government of India, in August 2015, as a digital payment initiatives which is interoperable between any Indian banks. UPI stands for unified payment interface (UPI). 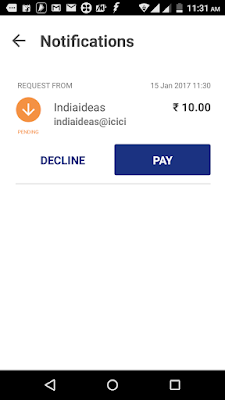 It is a mobile based application which allows users to send and receive money, pay bills or do any types of online transaction by just using a unique UPI ID also called Virtual Payment Address ( VPA) , and thus it is no longer required to remember the IFSC code, account details, MMID, Credit/Debit Card number, CVV code etc. For example, a VPA looks like “narendra@upi or Narendra@hdfc” or “9999900000@upi”. 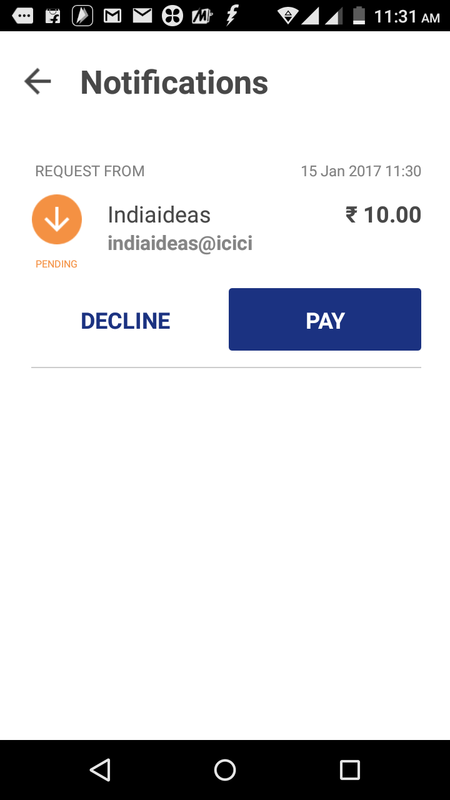 A user an generate or change his VPA ( Virtual Payment Address) any time using any UPI based app or by just dialing ” *99# ” from his mobile phone linked to his bank account. If someone has to make payment using UPI, he just needs to type his VPA on the Payment Gateway page and authorize the same from his Phone linked to his Bank account by dialing ” *99# ” or by using the UPI app. Please note that accessing UPI payments System using USSD ” *99# “ doesn’t require any Wi-Fi or internet connection as it works on all telephone service providers without any cost. Unified Payments Interface(UPI) was developed by an RBI ( Reserve Bank of India ) regulated organisation named National Payments Corporation of India (NPCI) which is an umbrella organization for all retail payments system in India.The central database of VPA for any bank users is regulated and maintained by NPCI. UPI is built over the same technology as IMPS ( Immediate Payment Systems) and thus, allows you to instantly transfer money between bank accounts. UPI is currently supported by all major Indian Bank, a total of 36 Indian Banks support UPI based payment as of writing and the number is increasing. 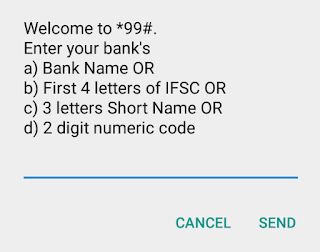 Initially at the time, when UPI was launched several Banks had their own UPI based app for such transactions or their users could also dial ” *99# ” to access UPI from any telecom service provider. But recently in the first week of January, 2017, our Honorable Prime Minister Narendra Modi also launched a new UPI based universal App called BHIM ( Bharat Interface for Money ) which works with all participating banks. BHIM is very Simple, easy and fast to use. BHIM will let you send and receive money to other UPI account or addresses instantly and all you need is a bank account number linked with a mobile no. It works will all Indian Banks supporting UPI based payment. 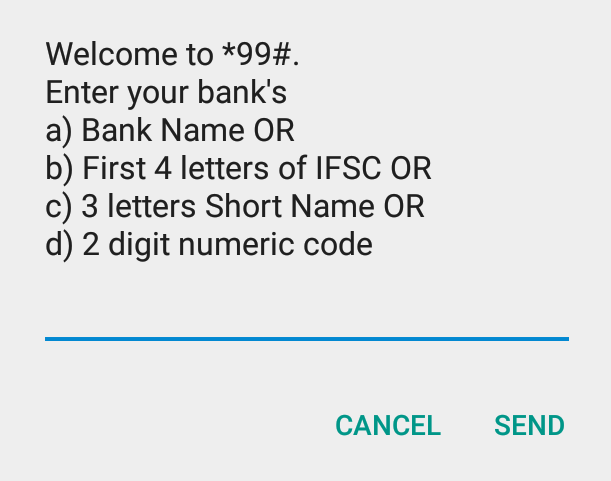 You can also send money via IFSC (Indian Financial System Code) and MMID (Mobile Money Identifier) Code to users who don’t have a UPI-based bank account. Paytm Payments Bank opens to everyone in India- What are the key features? What is BHIM ( Bharat Interface for Money) ? BHIM is the UPI App by NPCI, a RBI regulated entity and it works with any Indian Bank’s account so users of any paticipating Bank can use this app for UPI based transaction. Since the launch of UPI app, there has been a good number of UPI based Apps from different financial institutions :- Axis Bank’s Axis Pay, Broda MPay, United UPI, PNB UPI, Indian Bank UPI, OBC UPI PSP, ICICI Bank’s iMobile and yes banks Phonepe were the famous amongst those. Gradually, other banks also launched their UPI app. But, the BHIM has beaten all of them. It is the simplest, easiest and fastest UPI App. Currently, It is only available for Android devices but will be soon available or iOS and Windows Phone users too. iPhone and Windows phone users can still access the UPI payment system either by dialing USSD ” *99# ” or by installing any other Bank’s UPI app for iOS like Pockets by ICICI Bank, HDFC Bank MobileBanking, South Indian Bank’s SIB M-Pay. But the Pockets by ICICI bank is the best UPI based payment app on iOS devices because Pockets does not require you to have an ICICI account even non ICICI customers can use it freely. 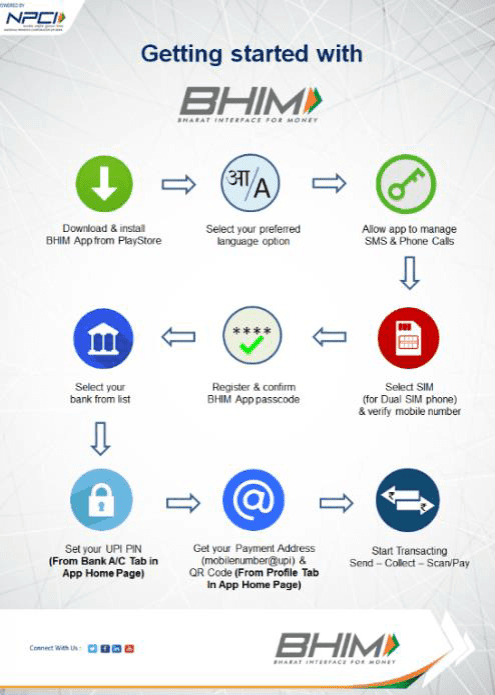 How to get started with BHIM – UPI based Payment. Access to UPI based payment is very Simple, If you have an Android smart Phone download the BHIM App from Play store and if you have an iOS or a basic feature phone just dial ” *99# ” from your phone to access the UPI application using USSD ( Unstructured Supplementary Service Data ). With the launch of UPI based payment, the time of Angutha Chhaap has changed and an Angutha ( Thumb) will operate a bank account, make payment online, send or request money. To get started with UPI based Payment or BHIM App on an Android Smart Phone. 1. Download and install the BHIM app from Play Store. 2. Select your preferred language and allow app to manage Phone calls and SMS. 3. Verify the phone number linked with your Bank account. 4. Set a 4 -digit BHIM app login passcode. 5. Select your linked bank account from the list to make the default account to send or receive money. 6. Set your UPI pin which will ask for the last 6 digit of your debit card No. and Debit card expiry date. 7. Now get your Virtual Payment Address as mobilenumber@upi and QR code from profile tab. 8. Now Start transacting using UPI. 1. Dial ” *99# “ from the phone number linked to your Bank account. 2. Select 1 for English and 2 for Hindi. 3. Select the option to add your Bank account using the Bank name or first 4 letters of IFSC code.For example type ICICI for ICICI bank, UTIB for Axis Bank, ORBC for Oriental Bank of Commerce. 4. Type the Last 6 digits of your Debit Card and Card expiry date. 5. Enter a new 6 digit UPI Pin and Re-enter to Confirm the UPI pin.The UPI Pin has been set. 6. Dial *99# again and Select Option 4 for Profile and Again option 4 to get your Virtual Payment Address (VPA) . 7. Now start transacting using UPI payment System. “Unified Payment Interface” (UPI) enables any bank ‘s account holder to send and receive money from their smartphones or from basic feature phones without the need of entering bank account information, debit card details or net banking userid / password. Users are not required to register the beneficiary first and then wait for a confirmation before the money can be transferred. It is very simple just type the VPA and send the money. Users are not required to have the internet banking activated. The money is never loaded to any wallet or such form but debited and credited directly into the Bank account instantaneously. Users can also create his/her own QR (Quick Response) code for a fixed amount of money, which the merchant can scan to make the deduction. With the help of UPI a user can request the money from anyone who is also using UPI services. UPI system can be accessed anywhere anytime, there is no need to have the internet connectivity or a smart phone, just dial ” *99# ” and make the transaction happen. Complaints of failed transaction can be made directly from the UPI app. It works 24×7 and even on holidays and in the night. Users can check their account balance on the go anytime, anywhere free of cost. UPI based payment is secured with 2 factor authentication a UPI Pin and only the registered phone can do transaction. It supports linking of only one bank account at a time though you could change the default bank account anytime using the UPI app or USSD code ” *99# “. You can have a maximum of two Virtual payment address with one phone number. The first would be default containing your mobile number while the other can be set with your name. You can transact a maximum amount of ₹10,000 in a single transaction and a maximum ₹25,000 in a day using BHIM app. While the USSD or other banks UPI apps can transact a maximum of ₹1 Lakh in a day. This may change from time to time and is subject to the UPI guidelines. Which all merchants are accepting UPI based payment as of now? As of writing, there are several merchants and their payment gateways which are accepting UPI based payments. Amongst those are Paytm for loading money to wallet, Yatra.com, Merchant using payment gateway of billdesk and Razorpay, Aircel.com for mobile recharge and many more.Soon you will see others also accepting payment using UPI. Two more big player in the merchant gateway providers named Payu Biz and CCAvenue has started supporting UPI based payment.You can pau with your VPA to those companies using gateway from Payu Biz and CCAvenue as well. ( Updated on January 20th, 2017). How will you make payments online using UPI based app or USSD code? 1. Go to the merchant’s Payment page and select the UPI option along the other Payment method. 2. Type your VPA (Virtual Payment Address), For example, yourname@bankname or mobilenumber@upi and click continue. 3. Go to your UPI app / BHIM app or dial the USSD ” *99# “ and authorize the payment. 4. 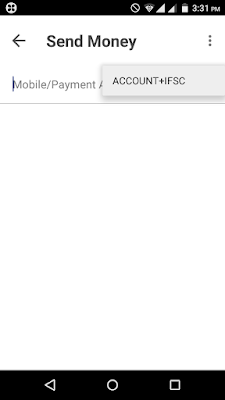 In BHIM app you get a notification select Pay and type your UPI pin and the payment is completed. 5. If you are using a basic feature phone, dial USSD ” *99# ” and type the UPI pin to authorize the payment. How would you send or request money from someone using BHIM or UPI payment method? Open the BHIM app, enter the 4-digit passcode and select the option Send or Request money. Type the VPA ( Virtual Private Address) or mobile phone number and tap on Verify. The phone number or the VPA is automatically verified by NPCI database. 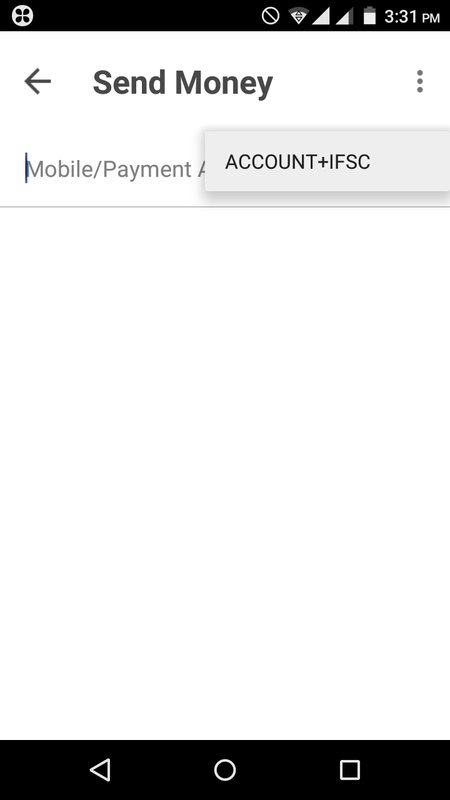 Type the amount and hit ” Pay “or ” Request “. Enter the 6-digit UPI to confirm and the money is instantly transferred or requested if you request from someone. You can also send money to someone who is not a UPI user and does not have a VPA. Select the option Account+IFSC from top right corner from the VPA verification screen in step 2 above. Send Money Using UPI App BHIM with IFSC code and Account No. Type the beneficiary’s name, account number and IFSC code and hit send. Enter the amount and confirm to send by providing the 6 digit UPI Pin. 1. Dial ” *99# ” from your registered phone. 2. Select option “1 ” to send money and option “2 ” to request money. 3. Select 1 to send money and then choose option 2 for sending through Payment Address. 4. Type the amount you want to send and then confirm by entering your 4-digit or 6 digit UPI Pin. 5. Here is video for your quick reference on how to make payment using UPI based app and USSD code. How would you change your default bank account using BHIM or UPI payment method? You can always change your default bank account for debit or credit transaction. Remember changing the bank account will not change your VPA ( Virtual Payment Address ) but the UPI pin will be changed. You can only have one bank account linked to your mobile number / VPA at a time. Open the BHIM app and enter the 4 – digit passcode. Select the Bank Account option from home screen. Tap on the top right corner and select Change account option. Hit proceed to select your Bank from the list. You Bank name and account will be automatically verified and appeared. Hit the bank account and select Set UPI Pin. You will be asked for the Last 6-digit of your debit card no. and Debit card expiry month and year. You will receive an OTP to set MPIN automatically and it be verified by BHIM app type your new UPI PIN and Confirm. Hit check mark button and you are all set to use the new Bank Account with new UPI Pin. Select Option 4 for “My Profile”. Select Option “1” for “Change Bank Account”. Enter your Bank Name or first 4 letters of IFSC Code. For example, type ICICI for ICICI bank, UTIB for Axis Bank, ORBC for Oriental Bank of Commerce, etc. If your account is linked with the same mobile number it will automatically be verified. Select he account number from the list. 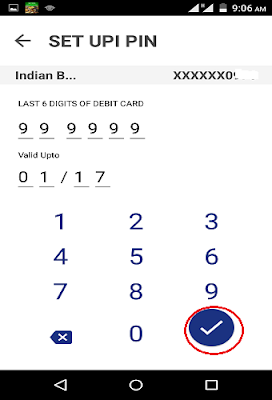 Enter the Last 6 digits of debit card number and expiry date on the next screen. Set a new UPI pin for the selected account. Confirm the same UPI pin and you are all set to use the new account. How secure this BHIM app or UPI based payment is ? BHIM app or UPI based payment is secured with two factor authentication. The first security is device hardbinding where device ID and SIM(mobile number) combination is stored. User can use UPI app installed only from his device which has his registered mobile number with bank. Second factor authentication is a user selected 4- or 6-digit M-PIN.All the transactions are carried out with UPI Pin. Which Banks are supporting UPI based payment? 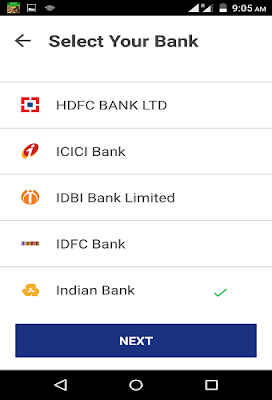 Currently following 36 Banks are supporting UPI based payments. For a detailed manual on how to use UPI Payment and BHIM app you can download the BHIM app manual by NPCI. Next articleHow to turn Siri off on macOS Sierra?